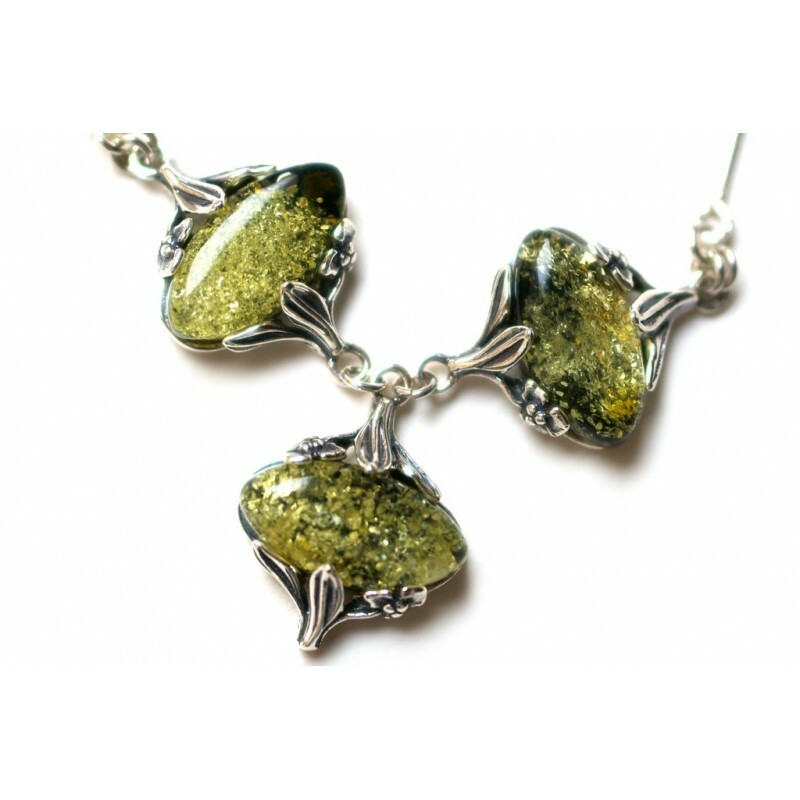 > Amber - Silver>Silver necklace "Flowers"
The silver necklace consists of three moss green shade polished oval amber pieces, joined by the stylized darkened silver flowers. In every piece of amber every time reveal new unique natural phenomena. Silver flowers, that burst on the moss green lawns… it gives an opportunity to plunge into a magical vegetation world, to smell the dewy morning grass.